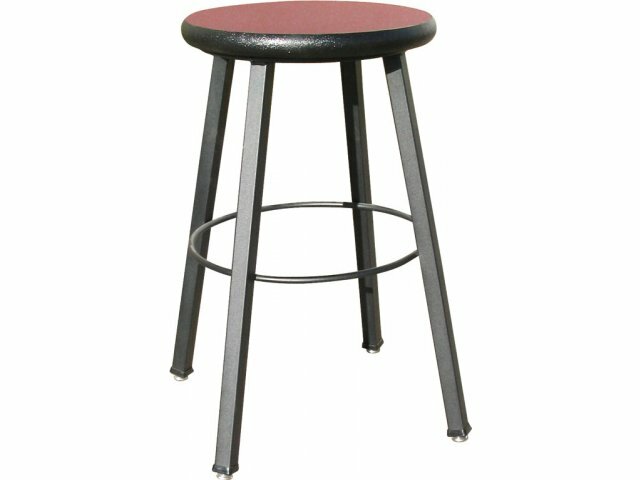 This welded stool comes with a spacious 14-in. 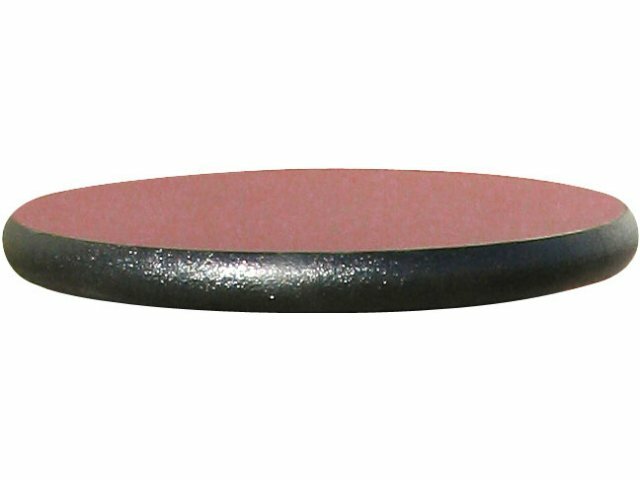 diameter seat made form high-pressure laminate with Lotz® Armor Edge. Lotz® Armor Edge resists nicks and scratches, and will not separate from the core. 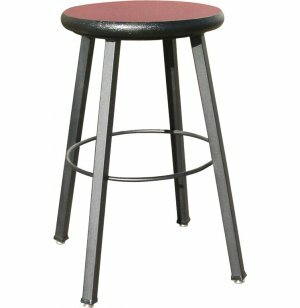 Metal stool legs are made from 16-gauge steel with a textured black powder-coated finish. Laminate seat is available in a variety of attractive colors. Four legs are capped with non-marring glides designed to prevent floor scuffs. Solid-steel foot ring welded to frame makes for comfortable foot rest. Medium-density fiberboard (MDF) is made from wood particles and resin fused together under pressure. It is cost-effective and durable. Designed for Extended Use: Solid 16-gauge steel base is designed for extended, heavy-duty use. Attractive: Laminate seat comes in a variety of attractive colors. Comfortable: Rest your feet on the solid-steel foot-ring welded to frame. Floor Friendly: Non-marring glides help protect floors.